PlaceIQ today announced its selection by the Ad-to-Action Awards as a finalist for the top attribution, analytics and location intelligence categories. PlaceIQ’s Place Visit Rate (PVR) product is recognized as a finalist in the Attribution and Analytics category, which highlights technology innovations ways that help brands create, target, traffic and measure advertising. PVR is a first-of-its-kind measurement metric, created by PlaceIQ in 2012, that has delivered benefits and audience visitation insights to hundreds of leading brands and their media agencies. Leaders in retail, automotive, dining and CPG are using PVR to accurately understand the offline impact of advertising campaigns. PlaceIQ’s LandMark dataset is recognized as a finalist in the Location Intelligence category, which highlights technologies that help brands, agencies and media companies analyze and take action based on insights. Landmark gives brands and media agencies access to PlaceIQ’s premier audience, behavior and visitation data, to inform a host of business and marketing decisions. This technology a core brand component for powerful location-derived insights about the real-world customer journey, which informs a wide variety of decisions: media activation, cross-channel strategy, competitive positioning, retail site selection optimization and financial investments. 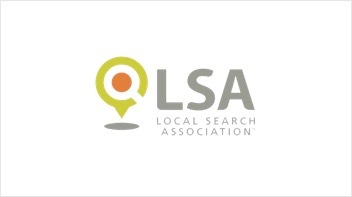 The Ad-to-Action Awards, produced by the Local Search Association (LSA) is a premier event celebrating innovation in location-based media and marketing. The program brings together thought leaders from media agencies, brands and technology to judge entries on innovation, ability to influence and impact consumer actions, ROI potential, ease of implementation and several other criteria. Winners will be announced on May 1 at the LSA18 Conference in Chicago.